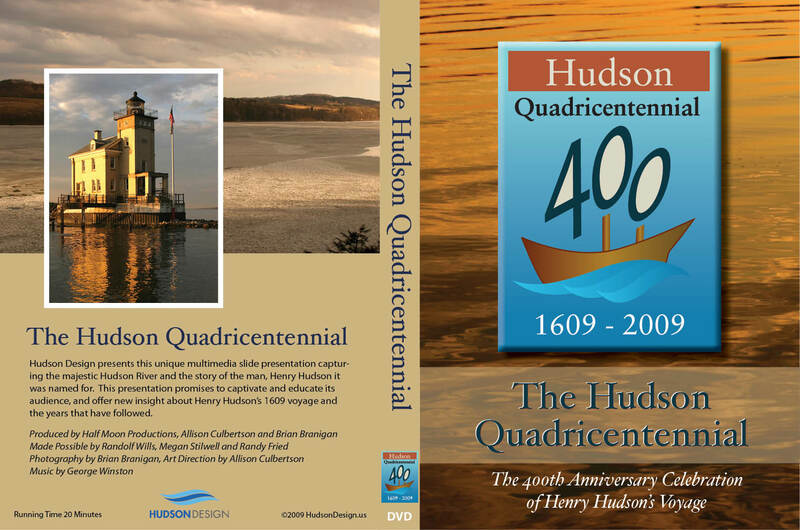 The Hudson Quadricentennial project came about via a Hudson Design offshoot: Halfmoon Productions, a not for profit project created specifically for the Quadricentennial—the 400 year anniversary of Henry Hudson’s voyage and discovery of the Hudson River. The project is a 38 minute slide presentation. The majority of the photographs were taken by us over several years. The end product is the 38 minute presentation with DVD packaging. Additionally created: a fundraising video; website and banner ads; and a poster. The presentation was aired on public television during the year-long quadricentennial celebration in 2009. The entire presentation is now on YouTube.